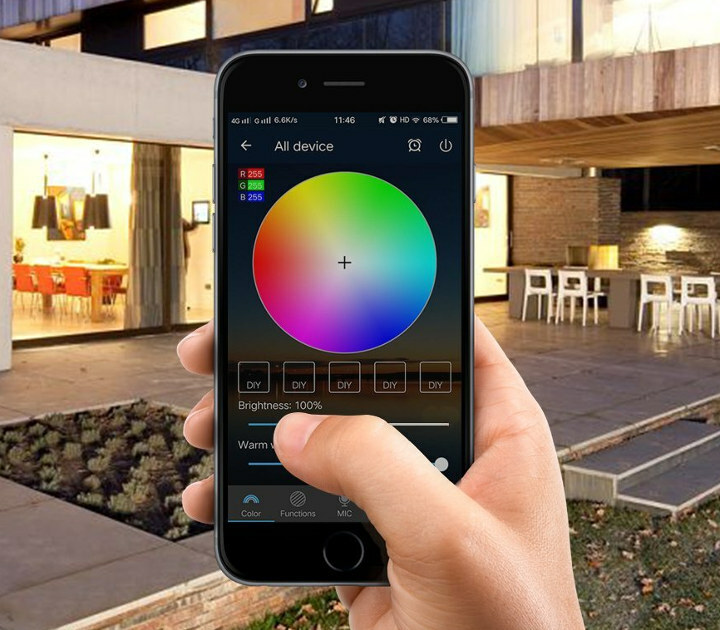 We’ve previously covered two smart RGB light bulbs with AI Light and Sonoff B1 models, and they are especially interesting since they can work with open source firmware like ESPurna or Sonoff-Tasmota. However, their brightness is limited, and in the case of Sonoff B1 it’s especially true when using colors other than white. A brighter WiFi RGB LED light bulb might be Geekbes BR30 which is said to be rated 9W and delivers 900 lumens against the 6W / 600 lumens for Sonoff B1, and does not cost more much at $19.99 on GeekBuying. The light bulb ships with a user manual. It works with smartphones running iOS8.0 and Android4.3 or greater, and supports Amazon Alexa, Google Home, and IFTTT. 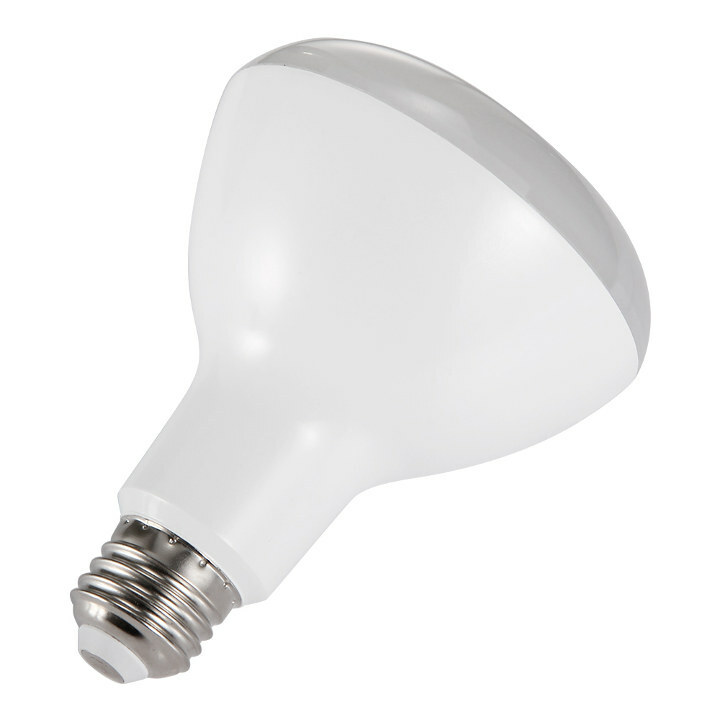 There’s no info about the app on GeekBuying, but a BR30 light bulb is also listed on Aliexpress for about $13, with similar specs, and they show a little about the app. The brand name is “REFURBISHHOUSE”, so it leaves doubt whether it is new however. Nevertheless, the app does things that you’d expect it to do like turning on and off the light, selecting the colors, configuring schedules and timers, and so on. What I do not know yet is whether the light bulb is based on ESP8266 so that it can easily be ported to open source firmware. If somebody has already got one and opened it, please let us know. The Mi YeeLight product, similar to this (RGB, Wifi, etc.) had a big value add: the API documentation, in order to directly (no Alexa, Home, fFTTT) manage it from whatever you want (I use it with curl from a Linux host). It may be nice if also this can have documented APIs. The caveat however is that you still net a net connection for the initial setup of the yeelight since it connects to their cloud service and ignores local by default. Notice the current Yeelight models deliver 600 lumens.